Your future is calling. Are ready to pick up? 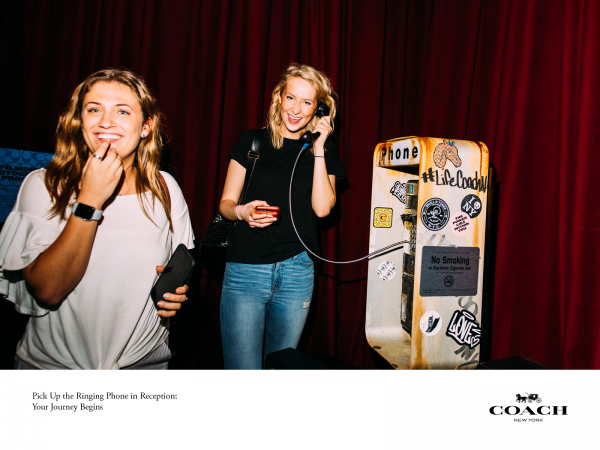 And with that subversive messaging (pasted across NYC streets), we kicked off Coach’s first immersive pop-up experience. 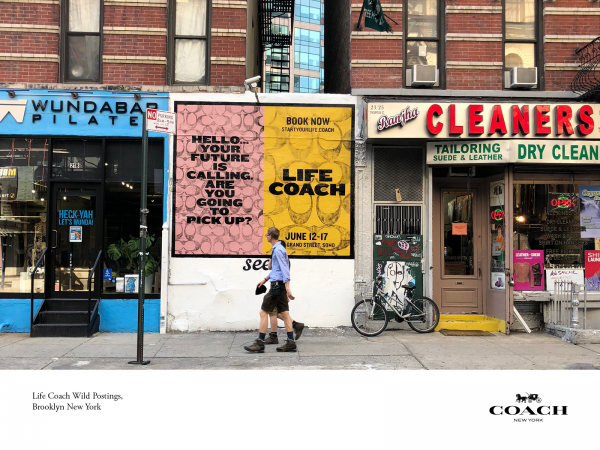 Called Life Coach, the interactive, open-to-the-public, pop-up melded established brand codes (NYC, nostalgia and Americana) with of-the-moment mysticism (tarot, sound baths and astrology). The result; an unexpected experiential that put a premium on user experience, production values and content opportunities over overt product marketing. Coach In House Creative and Marketing team with production partners, The Projects and set designer Simon Costin. 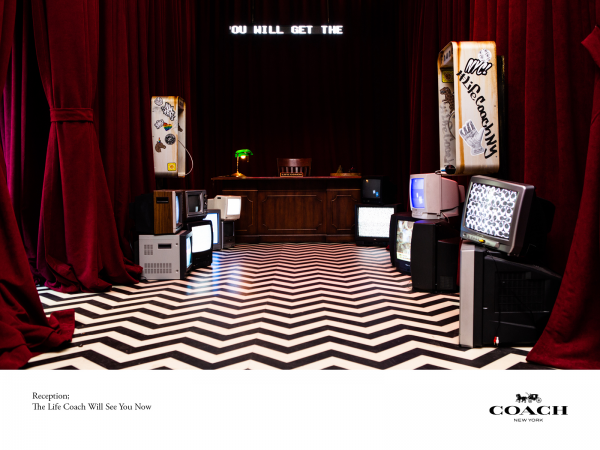 How do you shift perception of an established brand code and draw in a new consumer? The answer was Life Coach. Held in SoHo, New York in June 2018, the week-long, immersive pop-up invited guests to explore four interactive spaces designed around the themes of creativity and self-expression. 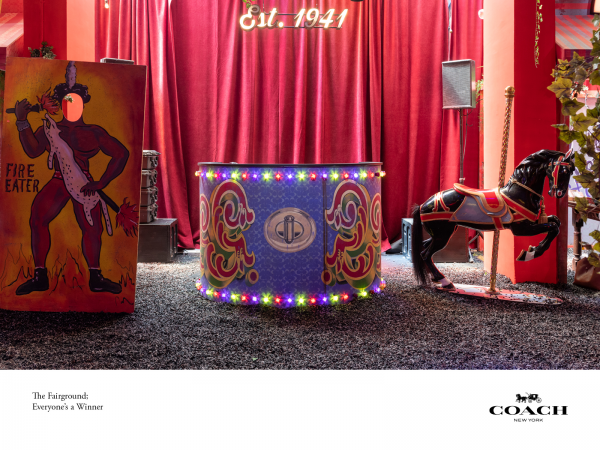 Created in collaboration with set designer Simon Costin, the playfully surreal experience included a DIY graffiti room, tarot readings, fairground games, live performances and nightly DJs sets. 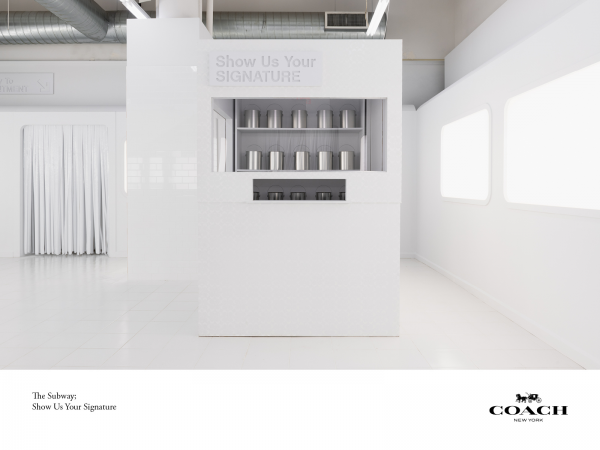 The only branding throughout the space was the subtle use of our House logo, known as Coach Signature. Relaunched earlier in the year, the Signature motif was subtly applied as a graphic design element throughout the 7,500 square-foot space. Product was never featured. The entire experience was conceived and executed as a way to surprise and delight guests. Experientials. Content opportunities. Creating an emotional connection with guests. These objectives were at the forefront of Life Coach. In fact, the realization that “nothing was for sale’ resonated with Life Coach guests, allowing for optimal interaction and high dwell time. The week-long event sold-out and lines for walk-ins were a daily occurrence. 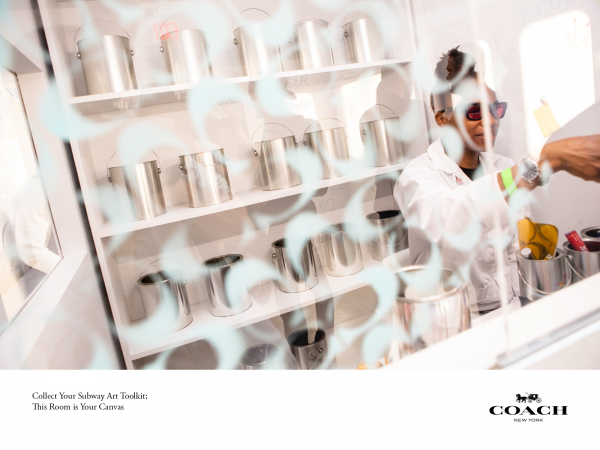 And while experientials are very much on trend, Museum of Ice Cream, comes to mind, Coach set out to be one of the first mono-fashion brands to stage such an elaborate, product-free pop-up. Of special note was the attention to production values. 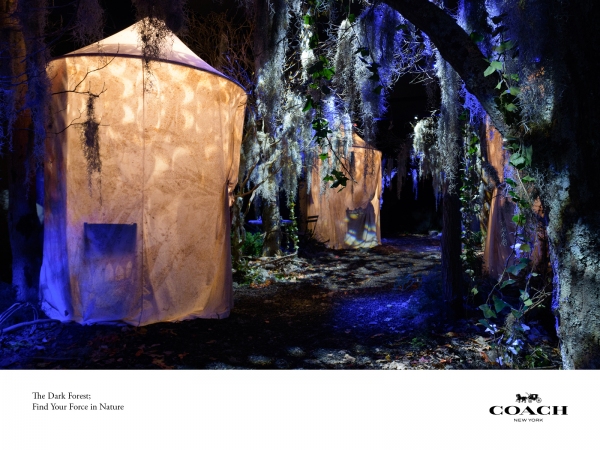 Approaching it as a NYC fashion show, Coach created four immersive rooms that wowed each and every guest. From actual tiles used in the subway/graffiti room to the trees and tents set up for the dark forest/tarot room, no detail was left to chance. Layered throughout the week-long experiential were special live performances, including a sound bath with The Hoodwitch, a sun sign talk with the Astro Twins, graffiti exhibitions by WhisBe and Giz, as well as live performance by the BK Steppers. 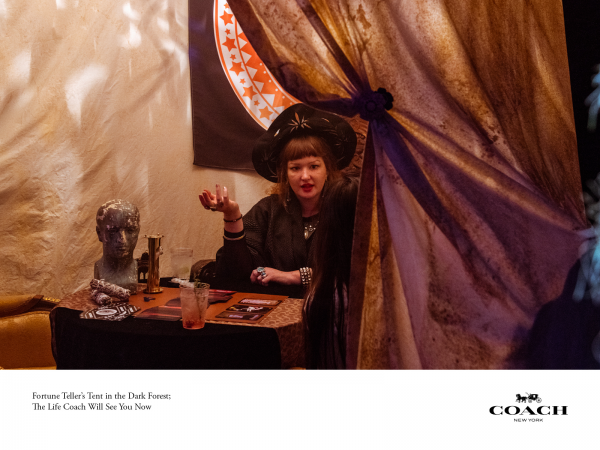 Daily tarot readings (we enlisted a rotating stable of top readers) and nightly DJs sets, in partnership with Balamii, heightened the overall experience. Convincing the C-Suite to invest in a non-traditional, non-product, non-retail marketing activity was the first hurtle. Meeting the creative director’s production standards (fashion show level, nothing less) was the second. Executing the entire project (idea to experience) in little more than four months was the third. 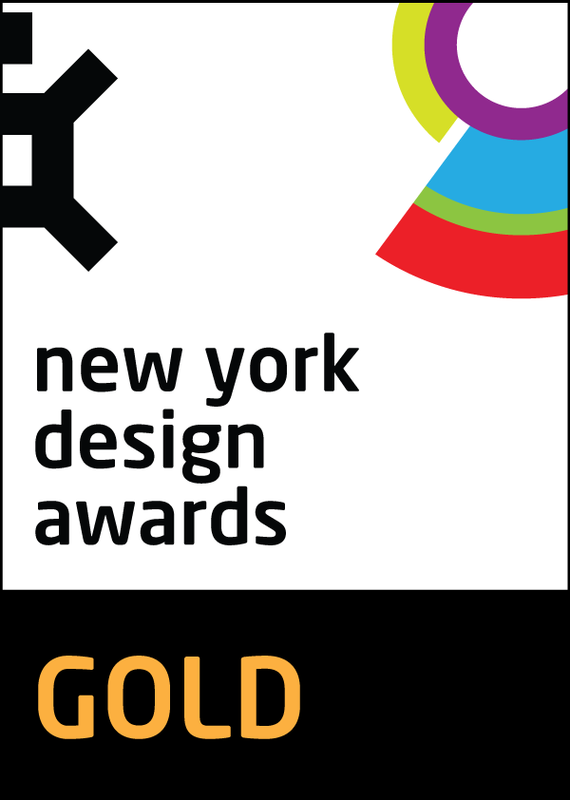 By partnering with seasoned outside talent, Simon Costin for set design and The Projects for production, the in-house creative and marketing teams developed the overall concept and strategy, design blue prints, user experience touchpoints, marketing collateral as well as the registration/microsite. To help close the loop on branding and drive retail activity, users were given a Life Coach membership card along with a custom, second-half 2019 horoscope written by the Astro Twins as they exited. The ceremonial process encouraged guests to visit the Coach Soho store, about a 10 minute walk from the experience, to receive a complimentary leather hangtag and monogram. 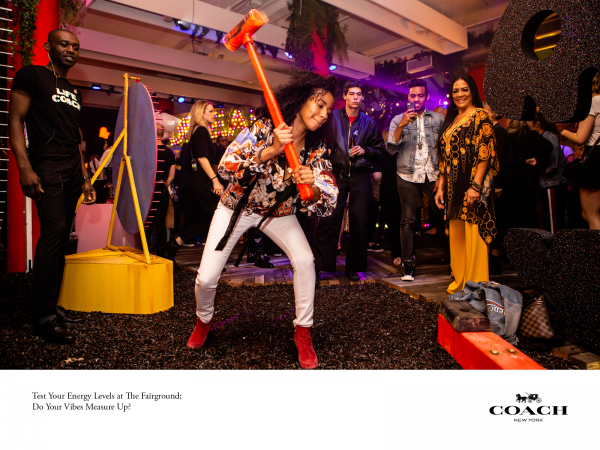 To further bring a bit of Life Coach to our Soho store, we enlisted graffiti artists to live paint each night during the experiential activation. 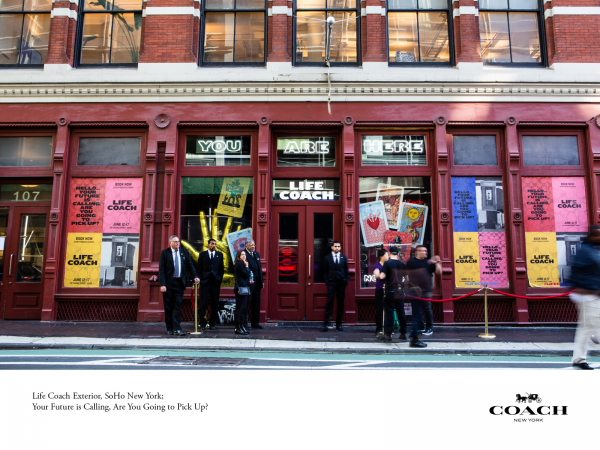 Overall foot traffic at Coach Soho increased fivefold compared to comparable time period. For the week-long experiential we sought to reuse several design pieces from past fashion shows as well as source local, reclaimed, reusable props. The majority of pieces from the activation have been saved in storage, ready for the next Life Coach activation. Furthermore, we transformed the space on the final night into a dance hall/runway and hosted a “Signature Ball” in celebration of NYC Pride.